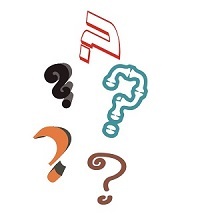 Welcome to our frequently asked questions page. You've probably got a question for us after reading through our proofreading and editing services. Below, we have listed some of the most common questions that individuals have asked us in the past, or what our team believes will help you to understand that Supaproofread is the editorial services provider to choose. You will have your document or manuscript returned to you within your chosen deadline with all revisions, suggestions and corrections that are appropriate to the type of service you have requested. Currently, we accept payment via PayPal, who accept both credit and debit card payments. After gaining an individual quote for your document, you will be sent to PayPal to pay for the requested services. Once this has been completed, you will be re-directed to Supaproofread's server to confirm your order. If I live in another country, can I still use your services? Definitely! Supaproofread is a global brand so you can use our services as long as you have a valid credit/debit card or PayPal account. No, but we do have a minimum charge of £20, $28 or €25 to cover administrative charges. If you have several small items, then you can group them together in one package. Supaproofread is a leading online services provider. With a team of professional, highly experienced customer service advisors, around the world, Supaproofread.com has established a sound reputation. Our website and document submission services are available 24 hours a day, 7 days a week. Our proofreaders are based throughout the world so they're also on duty 24/7! Our administrative support centre is open from 10am until 4pm UTC (Monday to Friday), and we will generally answer email enquiries and reply to submissions within 6 hours. What types of files can you accept? Although we can accept most files, we request that all information is sent one of the following formats: MS Word, Word Perfect, WordPad, Notepad, MS Works, MS Excel, Adobe Acrobat (PDF), MS PowerPoint and any type of webpage format. If you are using a program that is not listed, then please save the file as a Microsoft Word document (.doc), a text document (.txt), as rich text format (.rtf), or as a PDF file. We have been in business since the beginning of 2005. You can visit our Contact page or the About Supaproofread section for more information. Please visit our employment page for more details. Payment is made; the payment processor that Supaproofread prefers is PayPal. We process both options through a secure 128-bit encrypted SSL, ensuring security of your account details. You don't need to setup a PayPal account when paying with a debit or credit card, and neither PayPal nor Supaproofread will store your card information. Additionally, if you are a registered customer with Supaproofread, then you can pay for our services by bank transfer (please contact us). We also offer the option to open a charge account for business clients and organisations. When you gain an instant quote from our server, you will be transferred to process your payment. You will be directed to PayPal by our secure server. After payment, you will be re-directed to our server to complete your order. All payment details and processes are handled by PayPal. Supaproofread.com and PayPal use the industry standard 128-bit SSL (Secure Socket Layer) encryption for secure payment communication. For more information, please visit the PayPal Help Centre. Yes, of course. Supaproofread is a global company that provides proofreading, editing and translation services for people all around the world. As long as you have a valid debit/credit card or a PayPal account, then you can use our services. We accept PayPal payments which can use funds that are in your current account or PayPal account. If you are a registered customer with Supaproofread, then you can pay for our services by money order or Western Union. We also offer the option to open charge accounts for business clients and organisations. Just contact us. All payments are processed through PayPal who handle payments from around the globe. Do I need to register to pay for your services? Yes. We require all individuals to register when using Supaproofread.com. We've found that it's a lot easier for our automated system and makes the whole process a lot quicker. Your details will be kept secure on our server and the process helps prevent fraudulent transactions. Our prices are easy to calculate because we use the word count of the document multiplied by the turnaround time. We won't have you waiting around for an emailed quote like other proofreading and editing companies, nor will we charge per page, per 1,000 words, or by the hour. We have a no-nonsense guaranteed quote system that will generate an accurate quote in a matter of seconds. A quote is usually valid for 7 days. We do offer discounts to registered customers. These are offered on an ongoing basis and are offered after certain amounts of work have been submitted. If you are an organisation and have a large project that you want to discuss with us, please contact us. We can offer you a more realistic price for your document. Do I have to pay for proofreading and editing services? Yes, this service costs money. If you wish to obtain an online quote, please use our Quick Quote Form. Do I have to pay for the service before my document is returned to me? We do require all customers to pay for proofreading and editing services before work begins on your document. For customers who have a long relationship with Supaproofread, we may consider accepting payment after proofreading and editing. Can I use my funding, grant or student loan to pay for your services? Yes. Many students who use our services to proofread and edit their documents pay with money from a loan or grant. However, we do suggest you check with your sponsor, before you use a particular source. How do I calculate the word count of my document? Do you count the bibliography and references? To calculate the word count of your document, choose Tools and word count options in Microsoft Word. The word count is calculated before the document is submitted to us and an instant quote is provided. We do count the footnotes as well as the references/bibliography section in the total word count of the document. If you do not want us to edit your bibliography, please let us know when you send us the document. Can you write my assignment on the American civil war, or the customer service approach in hospitality? In short, no. We are not an essay writing service and we do not conduct research for you or provide you with new content for your document. We believe students should research and write their own work. To undertake this for students would be highly unethical. If you submit work that is not your own, it can be considered plagiarism and you could be asked to leave your college or university. Having someone else write your essay constitutes cheating. Our service helps students improve their work and allows them to understand where they may have downfalls in their academic writing. Having a keen eye check over your work is a must, as many writers do not notice their own mistakes. If you are worried about plagiarism, take a look at Supaproofread's Plagiarism Advice, or check with your university on their plagiarism policy. Couldn't you just write a little of my essay for me? Again, no. Please see Supaproofread's guidance page for students who are unsure of what we can and can't offer. Do you guarantee that I will pass or get a better mark if I use your service? We can help improve your spelling, grammar, punctuation and writing, if you use our services. We can also help you with your content, clarity and argument, highlighting any weaknesses in your document and recognising the need for more research. However, your final mark will ultimately depend on you, and how much time, research and effort you have put into your work will affect your final grade. No, our service helps present your ideas and research so that you can be graded for your understanding of the subject, not your quality of English. Many lecturers who review assignments are more appreciative of an essay which has been proofread, and they may even recommend our services. Your work should be marked on its content, research abilities and critical thinking, and not hindered by the quality of written English. I need help with my formatting such as APA, Chicago, MLA, Harvard, OSCOLA, etc. No problem. Take a look at our Writing Styles section for helpful hints and tips on the most popular styles. When you submit your document to us and require us to use a certain style, make sure to tell us. Will you write up my dissertation if I give you all the research information/data? No, we can only edit your academic work thoroughly to help strengthen your work before it is submitted. However, we need a complete paper before we can start the editing process. Can I meet an editor in person to discuss my document? No, we do not provide a tutoring service; all contact is done via the Internet or email. How long will it be before my document is returned? Well, it all depends on which turn around time you use. 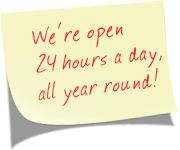 We offer 12-hour, 24-hour, and 3, 5 and 7-day turn around timeframes. The quicker the turn around time, the sooner the document will be returned to you. Therefore, if you submit your document on Monday with a 24-hour turnaround at 12 noon, then you will receive it by 12 noon on the Tuesday (GMT). Do you have proofreaders who know International English, UK English and American English? Yes. We all know about metres and meters, color and colour, and lifts and elevators. Just specify which type of English proofreading you require when you submit your document. We may contact you to confirm which type of English you use, if your document contains a mixture of usage. If you want to learn some of them then click here. Proofreading is a final review of your work to eliminate any remaining spelling, grammatical and typographical errors. Editing combines proofreading and revision to improve the flow and structure of your document for maximum impact. If you want to know more then view this page. We edit documents for students/academics, businesses and book authors. Businesses use our highly-qualified proofreaders to edit their correspondence. Supaproofread's business proofreading services are available for websites, memos, proposals, business plans, presentations, brochures and other business documents. Go to the Tools menu in Microsoft Word and select Word Count. In WordPerfect, right click anywhere in the document and select Properties, and then click the Information tab. For other types of file formats that don't have built-in word count functions such as PDF, PowerPoint or Excel, you can try downloading a free trial version of Total Assistant or Practiline.com. Please Note: If there is a section you do not want us to check, please mention this when you submit your document(s). Your website seems to require uploading and emailing documents and I have a slow connection. Can I send documents any other way? Sure! If you want to send your document on a CD, floppy disk or in hard copy format, just visit our contact page for details on how to do so. What's the maximum document upload size when ordering? The current maximum upload size for documents when you place an order is 2MB. If your document is larger then please email us (info@supaproofread.com). We'll provide you with an alternative method to securely send us your document(s). I'm concerned about your services for students. Isn't proofreading their work considered cheating? In short, no. Proofreading is a final check of a student's academic work, with minor tweaks to a piece that is more or less finished. Proofreading corrects punctuation and grammar, but we don't make any changes to the content or structure of the document. Many lecturers in academia recommend that students have their work proofread by another individual. This advice applies whether the proofreading is conducted by a friend or a professional proofreader from Supaproofread.com. Work submitted by students often contain many errors, spelling and grammar mistakes. Wouldn't it be preferable if nearly all of these errors were eliminated and you were able to clearly read a student's thoughts and arguments? Should we consider all books and journal articles to be plagiarised, given that nearly all these sources have been proofread and edited at some stage, and generally by a professional such as a Supaproofread editor. How are you qualified to handle my manuscript? I'm concerned about copyright. You won't steal any of my work will you? Absolutely not! Supaproofread and its editors make no claim to any copyright. Your work belongs to you and only you. We do not require credit or acknowledgement on material that you have written or anything else for that matter. All we ask is that the fees are paid for the service you select. I'm a perfectionist who checks everything. Why do I need your services? Even the best writer can benefit from professional, impartial advice through the proofreading and editing of a manuscript. Editors see things in your document that you are just too close to notice. You can complete several drafts and revise and review your work many times. However, due to your familiarity with the work, you often end up seeing what should be on the page, rather than what is actually written. I have a big manuscript, but can't afford to send it all at once. Can I submit it in a few smaller documents? Yes. You can send your manuscript in as many sections as you prefer. When you send the first part let us know, so we can then send the rest of your manuscript to the same editor. This will ensure the consistency of your entire document. I have received my work from Supaproofread, but I can't see what you have changed. Why is that? It is maybe that the highlighted track changes feature in Microsoft Word is turned off. Microsoft Word contains a drop down menu in the left-hand corner; you need to change this to Final Showing Mark-up to view all the changes that have been made. Not sure how to do this? Visit our Microsoft Track Changes section that will clearly show you how to configure the track-changes functions in Microsoft Word. If you do have any further questions about the editing and proofreading services we offer then please get in touch with us.